Upon entering the venue, Jay Electronica’s instant underground classic, Dimethyltryptamine ushered us into the historic church turned venue to the stars. My wife and I were kind of surprised that it wasn’t packed out, but as Jay Electronica’s set progressed, the numbers steadily increased, while beats laced with Jay’s unrelentless cerebral flow of thoughts, dreams, and realities filled the capacity of the space. Effortlessly spitting verses from the Style Wars EP that made him an internet sensation in what seemed a mere matter of months, I’m sure a portion of his content flew over a lot of the audience’s heads, but as he stated “I’m glad you all aren’t jumping around (and wilding out) cuz that tells me that y’all are listening. I appreciate you listening!” Balancing humor and braggadocio, Jay kept the crowd open with jokes and a challenge of battling ANY emcee in the game, “Well except for Mos” he says lol..Another mentionable moment was his prologue to A Prayer For Michael Vick and T.I., where he acknowledged and compared the two’s mistakes versus the vicious cycle of wrongdoings of ”the powers that be”. At the end of his set, he closed with a very well received prayer for peace and upliftment, a much needed gesture for this generation of hip hop culture. When was the last time you went to a show and was asked to hold hands with a stranger standing/sitting next to you? Well this was in a church, but you get what I mean.. This was aired a couple of weeks ago, but it still deserves a place on BamaLoveSoul. Man..I remember playing timpani in concert band, but it definitely was not this cool..
Toni Morrison wrote ‘The Bluest Eye‘ in 1970 and it remains my favorite novel and she my favorite author. The tragic story about identity and beauty and the pain of a little black girl who is so lonely and sad and believes that she is so ugly that she longs for blue eyes like a white girl so that perhaps people will love her, is by far one of the most important novels of the 20th Century. The eloquence of the work can be summed up in the above quote. 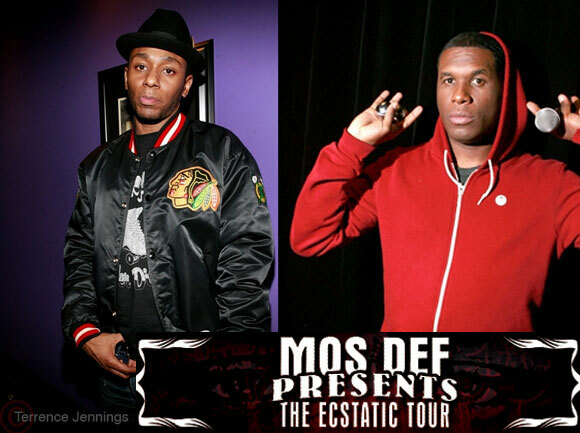 Mos Def and Talib Kweli are Blackstar was released in 1998. These two emcees that seemed destined to rhyme off of each other created an album that not only entertained but educated and inspired me the same way that Toni Morrison’s book did. The album was a refreshing alternative to some of the other rap albums released during that period and it prompted people to classify it as “conscious rap” a title that has been rebuked by the same artists who were classified as such, i.e. Mos, Kweli, Common, The Roots, Little Brother, et. al. Not wanting to be placed in that box that somehow classifies their music as some kind of sub genre in hip-hop only regulated to a certain type of listener. The track that moved me most of all was ‘Thieves In The Night’, it’s an amazing interpretation/rendition of the theme of Toni Morrison’s book. This song is the pinnacle of the album and the lyrics and delivery, especially in Mos’s verse makes you repeat the track just to memorize each word and soak up the knowledge he’s giving you. And just like the source material this song also stands as a masterpiece and one that will stand throughout time. Hopefully you’ll also find inspiration. After the tone was set, a flurry of beats, breaks, and samples followed, provided by DJ Preservation with his brother/deejay Abdul Rahman (aka Gold Medal Man) mostly holding down the instrumentals. The chemistry between Mos and his two deejays gave the performance a well rehearsed, but fresh feel to it, with the dopest interludes: a call and response/improvisational drum vs. deejay set, classic soul, blues, and a reggae set that transformed the dancefloor into an ocean of bodies swaying back and forth..all interspersed between each classic track after the next. Highlight tracks for me were The Auditorium and Ghetto Rock where I was literally on the verge of jumping on someone’s back – my apologies again to the folks whose feet I stepped on lol. Honorable mentions: Quiet Dog, Umi Says, Miss Fat Booty, and of course Casa Bey. Another noteworthy part of the show was Mos’ paying homage to some of our ancestors/pioneers in music, James Brown, Michael Jackson, and Fela Kuti, to name a few. Showmanship, respect for the fans, and an overall love for the music was written all over his face throughout his entire set. After the show Jay came and chatted with the Birmingham crew and even shared a photo of his and Erykah Badu’s beautiful baby daughter. You could see this brother’s face light up like the proud father that he is. Big up to Sharrif for introducing us to Mos, who was cool enough to meet with us after the amount of energy he had already given us in his performance. What was even cooler was that he had his family on board with him for the tour: Moms, Dad, brother, and relatives all in tow. Overall, the show was well worth the price, time, and travel to Atlanta. It’s always refreshing to see (in person) that real hip hop is pushing forward on a local, national and international level. Big up to the Malcolm’s Reading Room crew and the rest of the Birmingham crew who came out to the show!